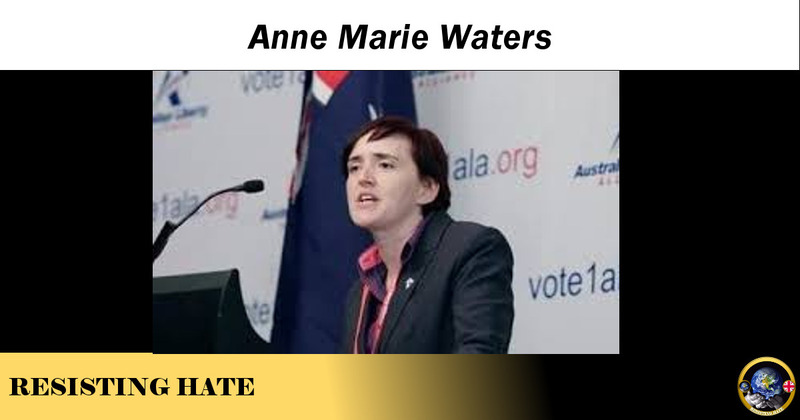 Anne Marie Waters presents herself as the political wing of the far right. She broke from Labour in 2014 and joined UKIP where she stood for candidacy in the Lambeth Council elections. She came last with a derisory 216 votes. She then went to stand for the party as a potential MP candidate in the Lewisham East constituency in the 2015 General Election (which saw UKIP make significant political gains across the country). Anne Marie came third with 9.1% of the vote. She attempted to stand for the same constituency in the 2017 GE but was barred from doing so by the party leader who is on record as being ‘uncomfortable‘ with Waters’ extremist anti Islam views. Running alongside her political career Anne Marie was focusing on her anti Islam activism. She took on the role of director of Sharia Watch UK, a far right anti Islam organisation that even today refuses to distance itself from Anne Marie’s inflammatory comments. I copied this off their public website today. Ignorant hate propaganda at its worst. Waters also became involved (along with convicted fraudster Stephen Lennon, aka convicted fraudster Stephen Yaxley-Lennon) with Pegida UK. Although the Islamophobic Pegida had enjoyed some interest across Europe it failed miserably at the hands of Waters and Robinson. Only 200 people turned up to Pegida’s much publicised Birmingham march and in the words of Hope not Hate Pegida was over before it had even begun. After the failures in activism Waters turned back to politics and in 2017 decided she would stand in the UKIP leadership elections. Waters’ extremism and fixation with Islam caused friction within UKIP with Nigel Farage saying if she was successful in her bid for leadership he would form a new political party. There was concern that under Waters the party would become a single agenda organisation which would reduce appeal to the electorate. It is also likely that Waters’ relationship with convicted fraudster Stephen Yaxley-Lennon and her willingness to involve him in the party could have added to the general reluctance within the party to appoint her as leader. Waters also had equally unpalatable close links with Jack Buckby and Paul Weston of now disbanded Liberty GB which were also a factor in the party viewing her as an extremist and unviable candidate. The Guardian predicted a mass exodus of MEPs if Waters’ bid was to succeed. Predictably Waters was unsuccessful in her fight for the UKIP leadership. The successful candidate Henry Bolton highlighted deep concerns with Waters’ extremism and warned that UKIP risked becoming the ‘Nazi Party’ under her governance and the party voted against her. 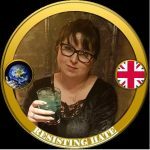 The wider media took an interest in Anne Marie and her new party and she was the subject of an Undercover program which exposed her use of violent and offensive rhetoric toward Muslims. This is the full Undercover video and I draw your attention specifically to timestamps 29.08 where Waters makes reference to [Muslim] ‘fuckers‘ taking over the country and calls for a ban on all Muslim immigration. At timestamp 30:40 she refers to Islam as a ‘an evil religion‘. For Britain fielded 15 candidates for the May 2018 Council elections. Not a single candidate won a seat. 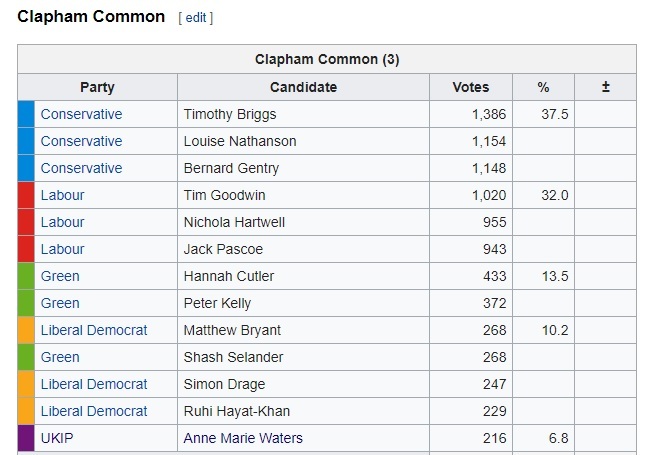 Anne Marie stood (again) for the candidacy of Lewisham East in the 2018 by election. The party made quite a fanfare about it and there were high hopes among the For Britain group that Anne Marie would either win or be placed second. However the people of Lewisham were not at all supportive of the Islamophobic agenda and showed their discontent very firmly at the hustings. It was a clear indication to all but the bigots that this by election would not be a fascist success. Donate monthly and donated again last week to help with leaflets etc. I hope Anne Marie takes it. It would be a momentous win! She lost of course. As we demonstrate in this Resisting Hate article, the far right have never enjoyed electoral success in the UK. The British people simply will not vote for hate. Anne Marie managed to scrape together 266 votes, a poor 1.2% of the turnout. For Britain were further humiliated in the press when it became known that Anne Marie had welcomed members linked to proscribed terrorist organisation National Action into the party. ⟵Did Far right Extremist LIE about being called a racial slur? Great job tipping off the venues and getting all those ignorant hate meetings cancelled. Keep up the good work ! 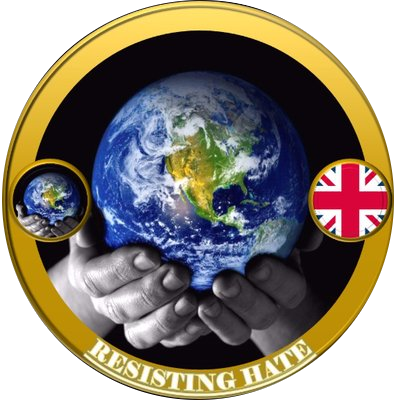 Britain First has effectively become Liberty GB and is polling about as well. Last in recent Newport West by-election, de-platformed by UKIP, reduced to a meeting in Loughton only 30 attended and with no serious backing. Will pick up votes where UKIP don’t stand, but her brand of hate doesn’t sell.